The speed of your internet is now more important than ever. We’re streaming live TV and playing games online at a rate higher than ever before. This is why making sure you’re getting the speeds you’re paying for from your internet provider is key. 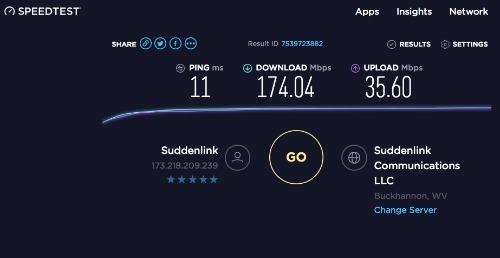 We’ve built a guide showcasing our top picks for the best internet speed tests you can do online from super simple to more advanced testing services to diagnose any problems. 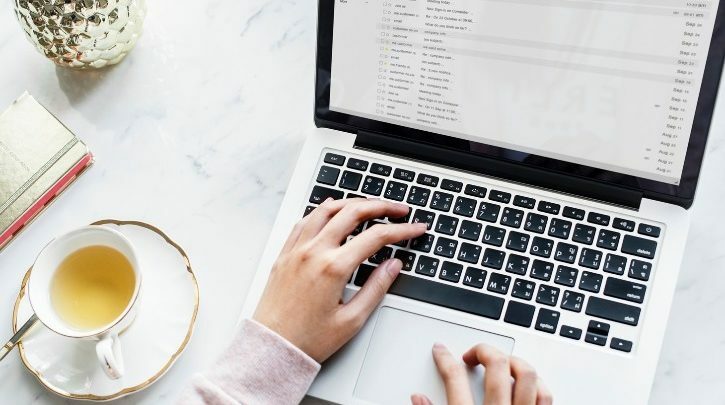 Browse our list below that’s updated frequently as we find new websites and apps that test the true speed of your internet. 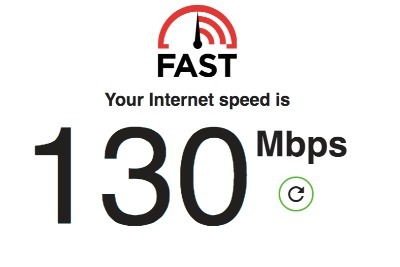 Fast.com is an internet speed test service from Netflix that gives you a simple and quick answer to how fast your internet speed is. This website was produced by the team at Netflix to give you some insight into the speed of your internet and how your video should be streaming while using their services along with other online services. 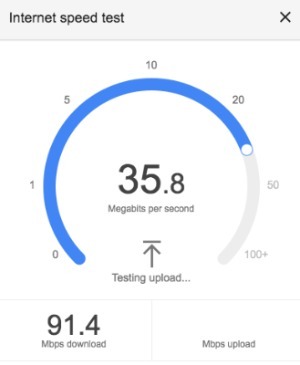 The website shows only your Mbps download speed, but if you hit the show more button you can find other stats like upload speed, time loaded and more. 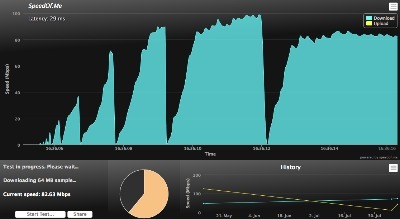 SpeedOf.me is one of the most in-depth, yet easy to use internet speed tests currently available. If you’re looking for your true internet speed and want some data to go along with it then SpeedOf.me is the way to go. The data may be confusing for the average user looking to just get a general sense of their internet speed, but if you’re trying to diagnose an issue or test multiple devices to compare the data then this is the website you want to use. We’ve found it to be one of the most accurate across multiple devices and internet providers. The Google internet speed test is a simple option that can be found by simply typing “Internet Speed Test” or various other searches about your internet speed into the Google search results. You can do a similar thing with Bing if that’s your search engine of choice. We’ve found that Google’s speed test seems to show slightly slower speeds than the rest of the testing services on average. You can find their speed test page for Google Fiber below or by simply doing a Google search. TestMy.net is an internet speed test that gives you a few more options than most. They allow you to do a download or upload test seperately as well as run both tests combined at once. This can help you diagnose certain problems with your internet. Overall this speed test gives you in-depth results that should help you dive into your internet speed and diagnose a problem or find out that your internet provider isn’t giving you the speeds you’re paying for. They also have an entire section explaining the results and what each one means which can be helpful for those who don’t have advanced knowledge of internet speed testing. SpeedTest.net has one of the most popular speed tests online that you can use through their website or by downloading their app. The speed test is powered by Ookla and gives you a basic view of your internet speeds along with a few in-depth options. We like SpeedTest.net because it has one of the easiest to understand interfaces out of the speed test websites. The fact that it also has an app is a plus. This is one of the speed tests you’ll want to run to figure out your true internet speed. We will update this page with any new speed test websites and apps we can find that give you your true internet speed. We’ve left out some of the speed testing websites that are popular as they’re hosted on the websites of Xfinity, Verizon, AT&T and so on. Most of these tests are using the Ookla internet speed test which can be found on our SpeedTest.net option. You can leave other speed test websites we missed as well as your comments below. speedtest.net is best for checking internet speed i have used many times its has good results.